Yep, I jumped on the Kylie Cosmetics bandwagon. After hearing amazing things, good things, bad things and terrible things I took it into my own hands to buy them myself and make my own opinion. First things first, ordering. 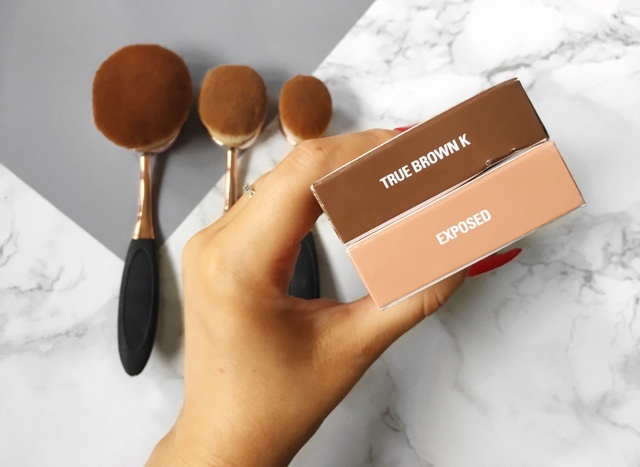 Exposed was definitely the shade I wanted the most I love warm nudes so I added this straight to my basket without having to wait for it to be restocked, I also added True Brown K whilst I was ordering Exposed too. So overall ordering was fine I didn't have to wait until the shades I wanted were restocked. Delivery. Nightmare. I ordered them on the 5th August and they weren't dispatched until the 11th which isn't too bad. So I waited for them to be delivered and I was so excited I was constantly checking the tracking. On the 25th of August the tracking said my parcel had been delivered to my address, but my lip kits were nowhere to be seen. In a blind panic I emailed customer services who replied straight away and told me to wait as the tracking might be too fast. My lip kits arrived 4 days later and I had to pay around £16 customs fee's (sigh). But waiting 24 days for a delivery? Come on? Despite the long delivery time I do love the products. The lip liners are so creamy and so pigmented, however my Exposed lip liner was faulty (like there was less product in it?) than the True Brown K one. I've seen other people have this issue which I think is a bit annoying that they've still not resolved this but it's not a major problem to me, my life isn't in tatters because of it. 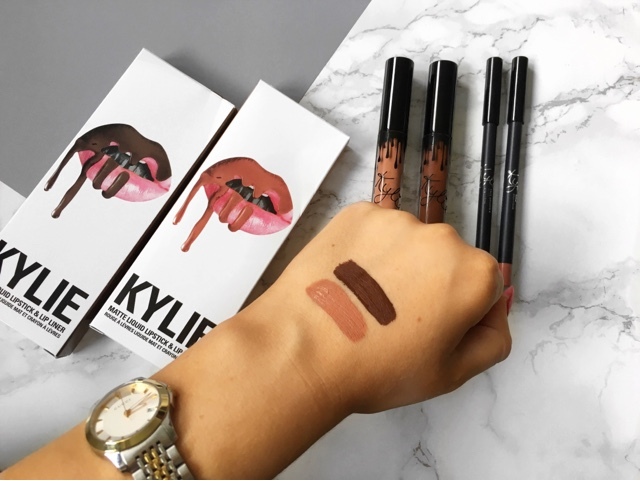 I love both both lip kits I like the formula of them and how long they last. I wore exposed one day and just had to top it up after I ate but it lasted really really well. Overall I love them, I just think delivery time could be better. I only say this because I ordered a Morphe 35O palette earlier this year from the Morphe website and it was delivered within a week to my house in the UK from America, so it is possible. But other than that I love the products and I love wearing them. 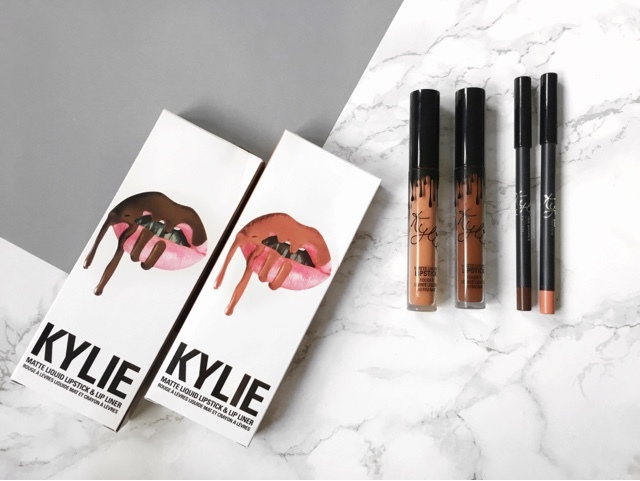 Let me know about your experiences purchasing your Kylie Cosmetics Lip Kits and what your favourite shades are in the comments! See you soon! My delivery time wasn't too bad actually - my main gripe is the formula :( it just flakes so much for me!